Aurality and Environment is the continuation of the research cell emergent environments. 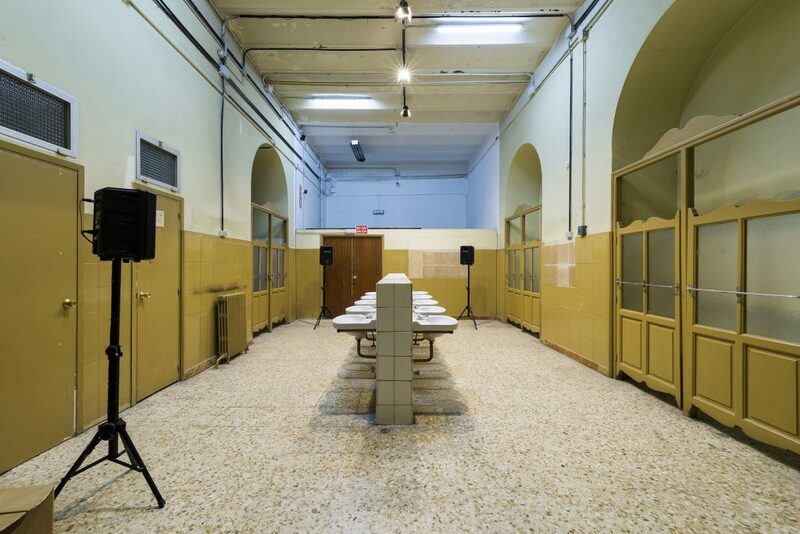 Tabacalera. 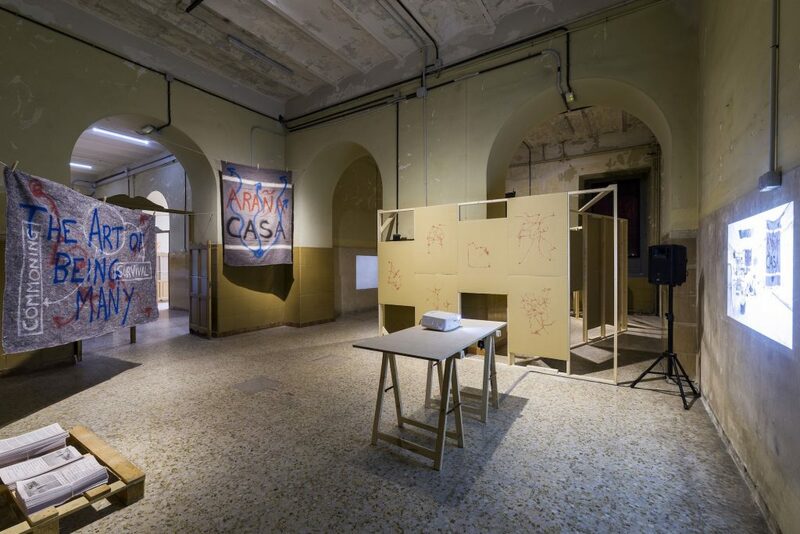 After finishing this cell, Alex Arteaga assumed the curatorship of Aurality and Environment and subsequently commissioned Brandon LaBelle and Salomé Voegelin to realize two presentations of their work. 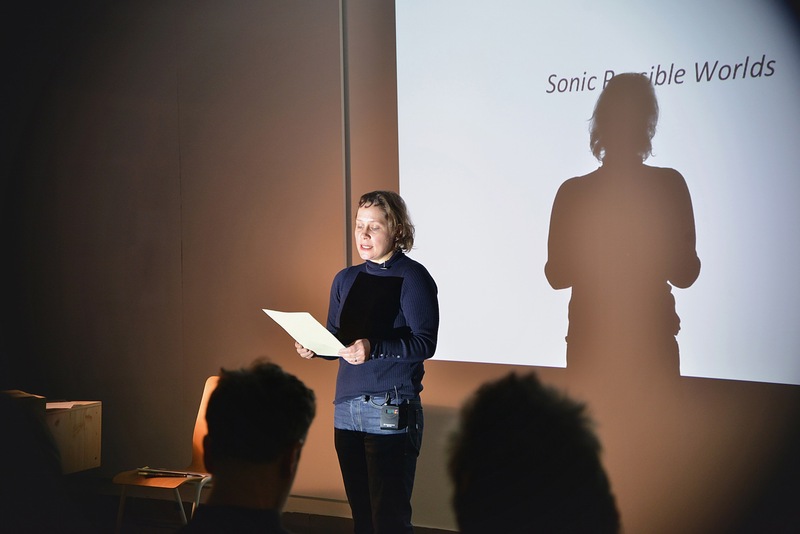 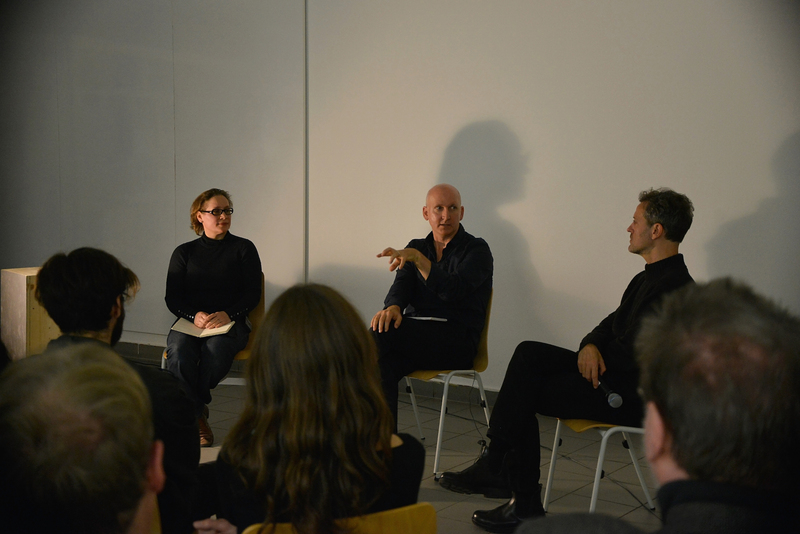 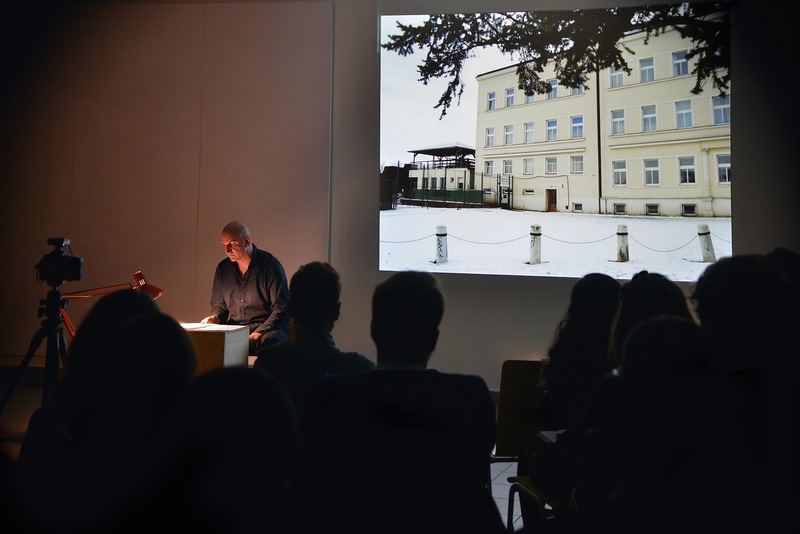 They took place November 4, 2016 at the Hybrid Lab ind Berlin, a forum of the Hybrid Platform (Berlin University of the Arts / Technische Universität Berlin) as part of the lecture series “die Reihe” organized by the MA Sound Studies and Sonic Arts (Berlin University of the Arts) and the department of Audiokommunikation (Technische Universität Berlin). The second phase of this cell consisted of sound installations by Brandon LaBelle—his work also included videos and drawings—and Salomé Voegelin conceived and realized for the same space in Tabacalera (Madrid) in which emergent environments. 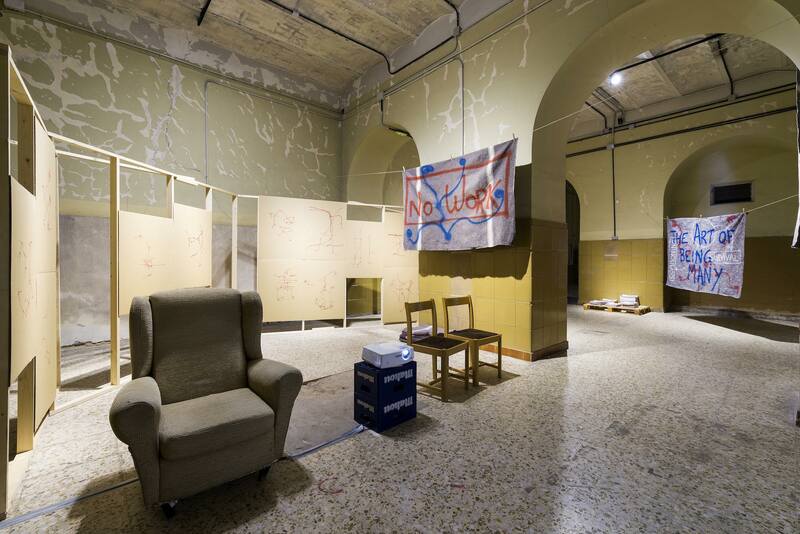 Tabacalera took place: the Estudios. 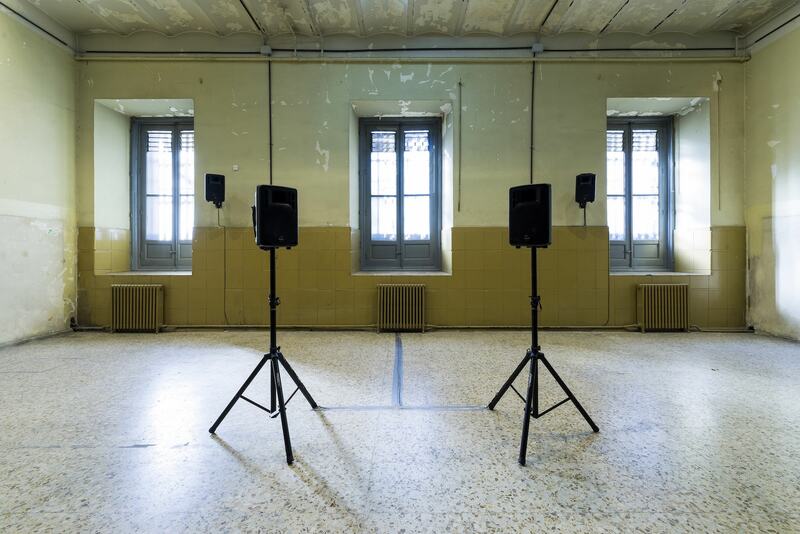 Both site-specific projects used different strategies and methodologies to research the relationship between environment and aural practices. 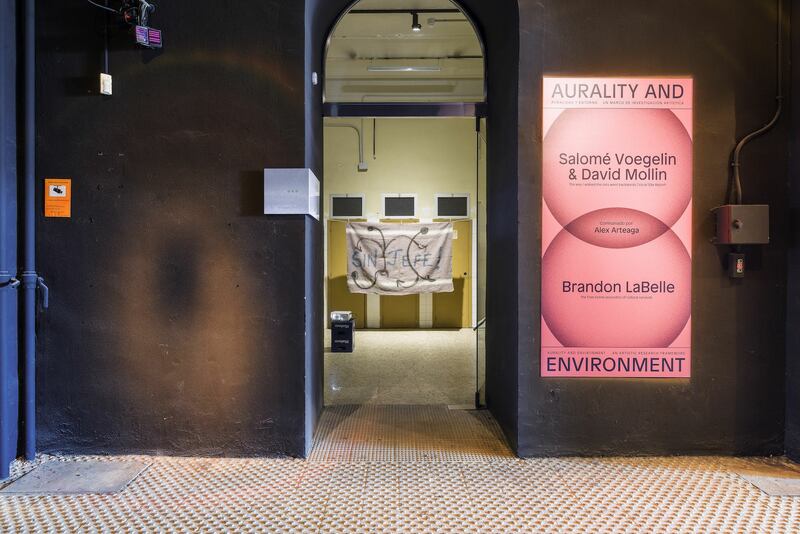 A book—Aurality and Environment—co-edited by Alex Arteaga and Raquel Rivera configured another research framework of this cell.